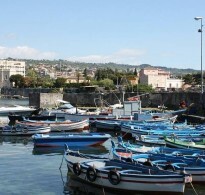 I am Domenico Pizzone, I was born in Sicily and I live in Catania. 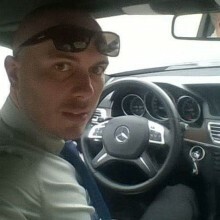 I am a biologist with a passion for travels, nature and history. 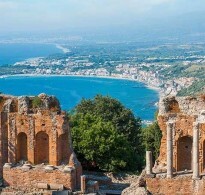 I have five years of experience in the tourist field, I enjoy driving and showing the beauties of Sicily to my customers. 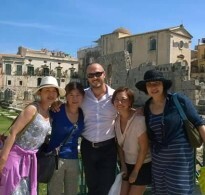 My main tours include: Godfather tour (Savoca, Forza D’Agrò, Castelmola, Giardini Naxos), Etna- Taormina with honey and wine tasting included, Piazza Armerina (Villa del Casale), Catania, Cyclops Islands (Acitrezza), Siracusa, Noto, Montalbano tours, Modica,Palermo-Cefalù,Trapani-Marsala ,Corleone,Agrigento,ecc.. I offer professional services by van Mercedes VKlass 8 pax and Mercedes E Klass Luxury. We offer wifi on board, water and candies.